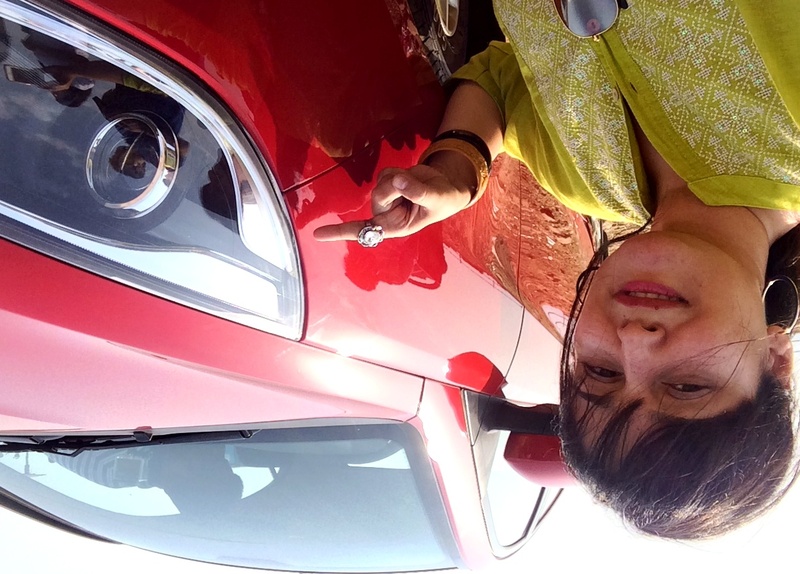 Here’s a summary of my drive to Lonavla in a Tata Bolt. 1. First stop: Cafe Infinito in Bandra where we were given the lowdown on the map route, our tasks, our team and the car. 3.Our first activity at BKC was the suspension test. Creative idea. 4. While we were at BKC, we noticed this young kid riding a mini-bike on the road with his father riding behind him. Got some interesting reactions to the tweet. Also found out about that it’s a 50CC bike. 5. Through the trip, we had a virtual companion… Captain Bolt. He was tracking our speeds and route via GPS. Nice company but a ‘real-world’ Captain Bolt would have been better for selfie-takers. 6. In the car, I found GoodDay Chunkies. Finally got to taste them and I have to say they are yumm! 7. The bloggers were divided into teams of three. We drove the Diesel version of the Bolt halfway and then tried the Revetron version (Petrol). 8. 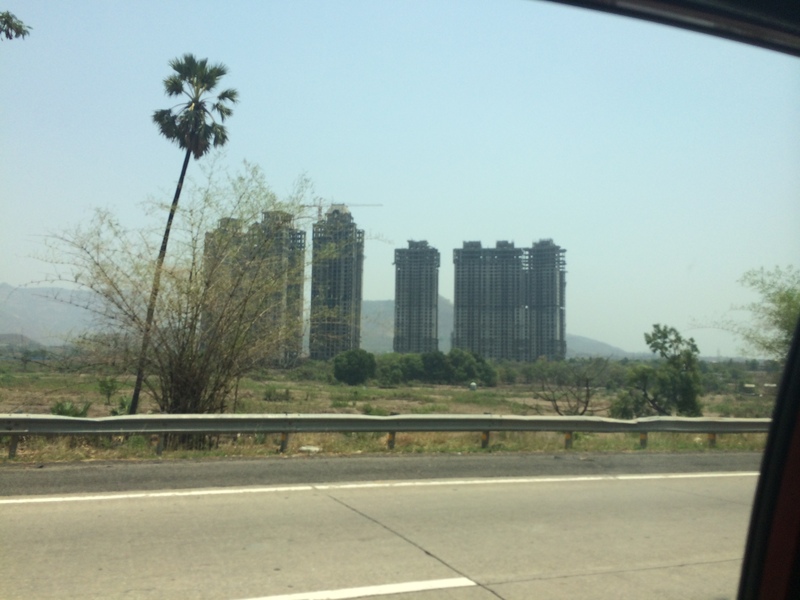 On the way, in the middle of nowhere… (somewhere near Khalapur actually – between Mumbai and Pune), we see these skyscrapers and wonder who would want to live in them. 9. Our final stop was Tiger Point, or Lion Point (a board called it Lion’s Point). Basically the point where you can see no real wild animals. It is just a place where they once lived, perhaps? I took a pano of the ‘point’. Not suitable for a summer visit (Thank God our cars had ACs) but I’m sure it’s spectacular in the monsoons. 10. My favourite feature of the Bolt. It’s eyes. 9. While returning… I love these butterflies on streetlights. A Sunday well spent at #BoltDrives with BOLT from TATA Motors in association with BlogAdda.